Akasa @ Cheras South is a freehold mixed development property project by Hap Seng Land located at Balakong, Selangor. 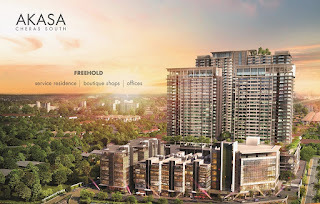 Akasa @ Cheras South consists of Akasa Residence (Serviced Residence) and Akasa Businees Park (Boutique Shops & Offices). It is open for registration now !